Nicole Hunter, MS, OTR/L, CHT, graduated from Thomas Jefferson University with a degree in Occupational Therapy and completed a Master’s degree in Health Care Administration at the College of Saint Elizabeth. Nicole completed two internships in hand therapy, one at Graduate Hospital in Philadelphia and the other at Rhode Island Hospital. Nicole began her career as an in-patient therapist at Kessler Institute for Rehabilitation and has since worked at several out-patient clinics specializing in hand therapy. 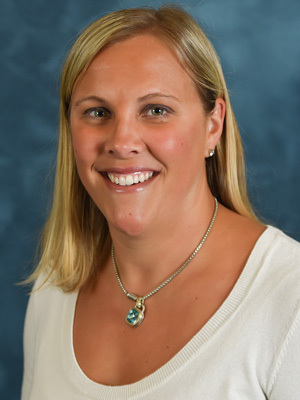 Nicole joined Mercer-Bucks Orthopaedics in November of 2008. Nicole is skilled in the fabrication of custom splints as well as treatment of the hand and upper extremity. Nicole is a member of the American Society of Hand Therapists and attends continuing education courses on a regular basis to stay current in treatment techniques. Outside of work, Nicole enjoys traveling, baking and spending time with her family.